Max. capacity: 4 persons: 3 adults and child(ren) under 10. 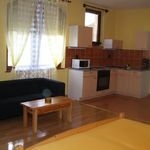 The rating of Atta Apartman Harkány is 9.6 from the maximum 10, 102 based on actual and valid guest ratings and reviews. 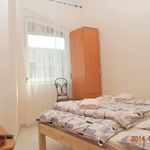 "A fürdőszobában és a konyhában vannak teendők..."
Based on the reviews and comments of actual guests, the services of the Atta Apartman Harkány have received a high rating of 9.6/10. As a gift to Revngo.com bookers: You may arrive at the accommodation 3 hour(s) earlier than the general policy would allow.